I witnessed two crevasse falls in a 30 minute period while guiding the Dufourspitze in Switzerland last summer. I rescued both victims myself. One team (a czech team) tied in a about 35 feet, and did a poor job of watching their tension. A girl popped through a weak bridge in the dark and yanked the other two guys off their feet. She went deep-until she corked. If she hadn't corked she might have dragged them both in. 15 minutes later an Italian climber passed me as I was probing a suspicions area (he wasn't concerned). He and his (single) partner were tied in 25 feet apart. 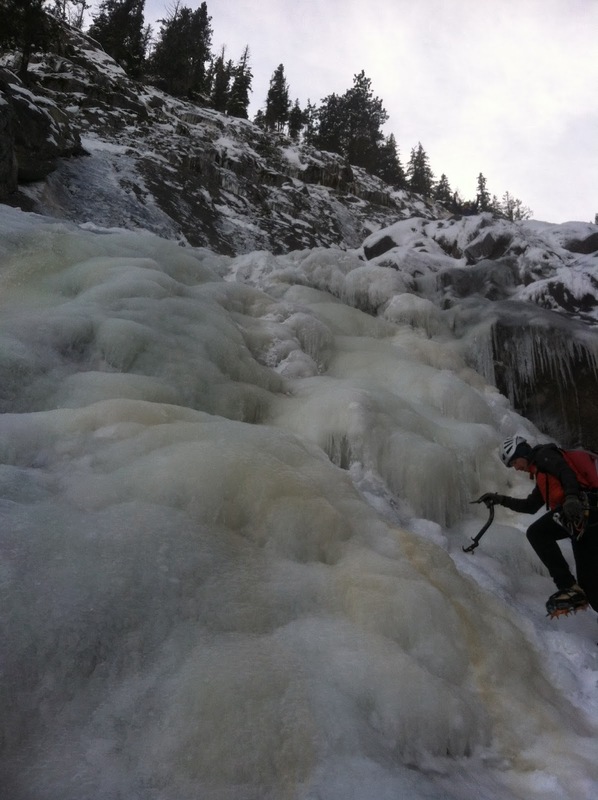 He fell in - and the tension went immediatey onto his partner - who self arrested (crampons on, toes in the snow! - It works!). His partner was dragged a little bit but not much, and successfully stopped the fall. We hauled that guy out too. One of your blog points was that smaller teams should tie in further apart than big teams. I disagree (with some exceptions). I think they can go just as close (and use heaps of butterfly knots). I honestly believe the benifits outweigh the disadvantages, and overall - if people are skilled and aware - going a little closer is often safer. Salomon FreeSki TV gives us an insight into the life and death of a ski area, from mom-and-pop T-bars, to massive mega resorts that blossom in a matter of years. And as usual, there is some sweet skiing footage in there as well. There are a lot of these "People are Awesome" videos out there, but guy at the end really surprised me. We've shown some free-soloing clips before, but this guy is on a different level. Since this is the last Weekend Warrior of the year. I thought I'd throw this video in to show you all what it means to be truly STOKED!! 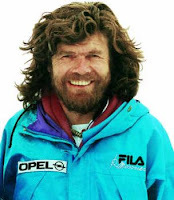 After skiing solo to the South Pole and back to the coast, Aleksander Gamme comes upon his food cache and surprises himself with its contents (be sure to turn on the captions). 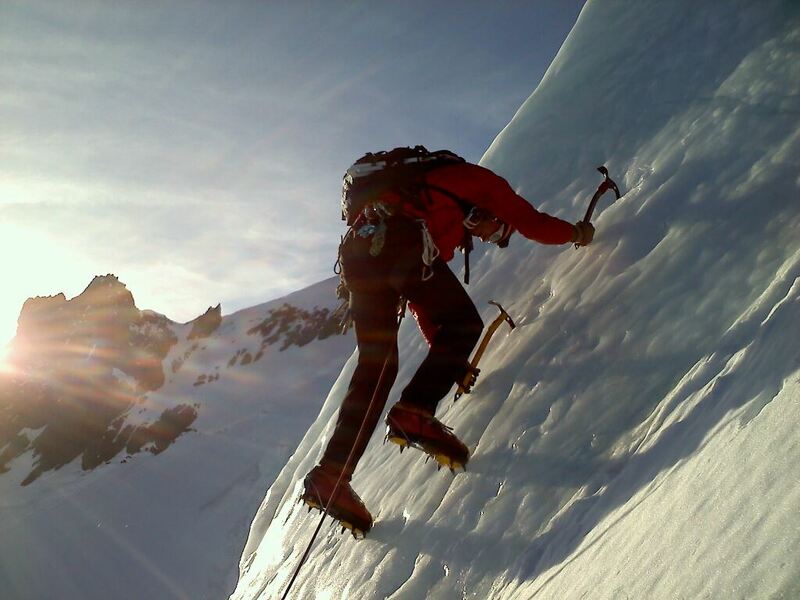 With the cold clear weather caused by the Fraser outflow two weeks ago, I got the urge to do some ski mountaineering. 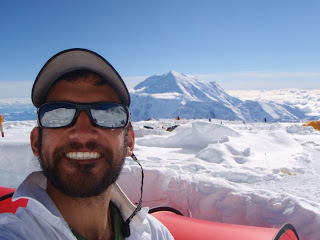 Fellow AAI guide Chad Chocran and I cruised up the Twin Lakes road in an attempt to ski Mount Larrabee. It was a total failure. First the temperatures were frigid. Second our stove stopped working, and third we got the god awful idea to eat a can of beans we found in the lookout. Although we woke to a crystal clear morning, our inability to make water and the residual effects of the beans, coupled with the frigid temps rapidly led to a hasty retreat back to the car. The day after our attempt the winds picked up and proceeded to make ski mountaineering a less than desirable option. In an attempt to redeem myself I figured I would switch sports and try some climbing. With the freezing temps WA had been experiencing for the last week it seamed that some ice had to be in shape somewhere. Kurt Hicks, a long time friend, suggested taking a look at Drury Falls in Leavenworth. 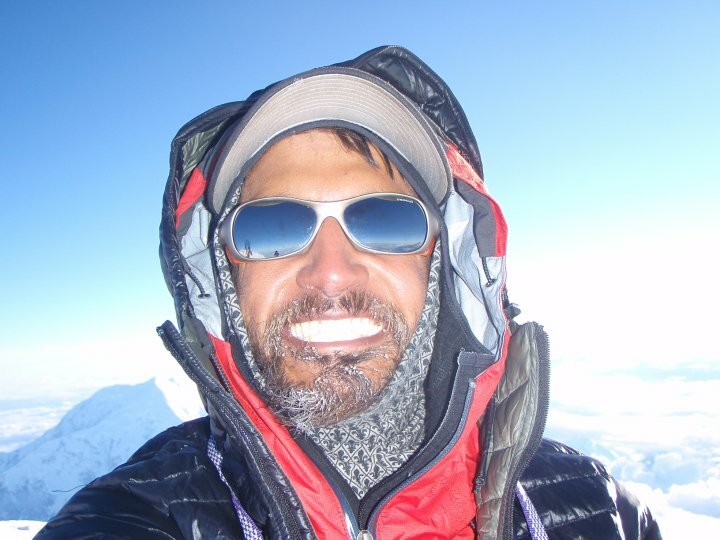 Some friends of his in Leavenworth had climbed it recently and said it was in relatively good conditions. So I packed up the car and drove east. As we passed Drury falls on the way into town it appeared we had made the right call. The route from Hwy 2. Excited that the route appeared to be in good conditions we finished the drive to town and proceeded to track down a boat that we would need the next morning as one must cross the Wenatchee River to get to the falls. Given the length of the route, we figured we would be coming down in the dark regardless of what time we embarked. As we had to cross a river in the morning in a craft that was barely large enough for two, we decided we would get a relatively late start and meet at nine. The crossing proved to be difficult as the low temps had caused a good portion of the river to freeze. 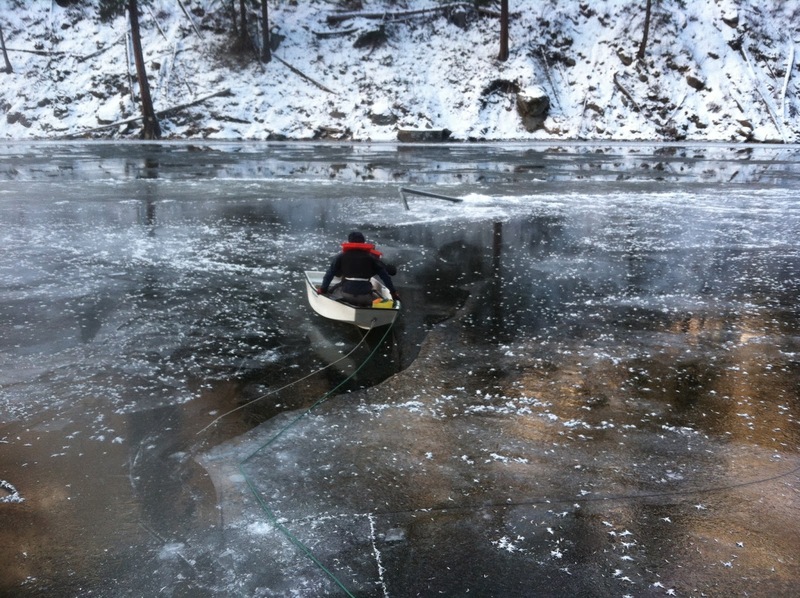 This forced us to start on the ice, transition to open water, and then transition back to ice on the opposite shore. It was exciting. Kurt and Blake pulling themselves out to open water in our trusty rowboat. Once across the river, two hours of hiking saw us to the base of the route. Before the main falls start there are several approach pitches. While they were relatively low angle they still require ice tools and a decent amount of caution, a slip here while not fatal would definitely be a show stopper. 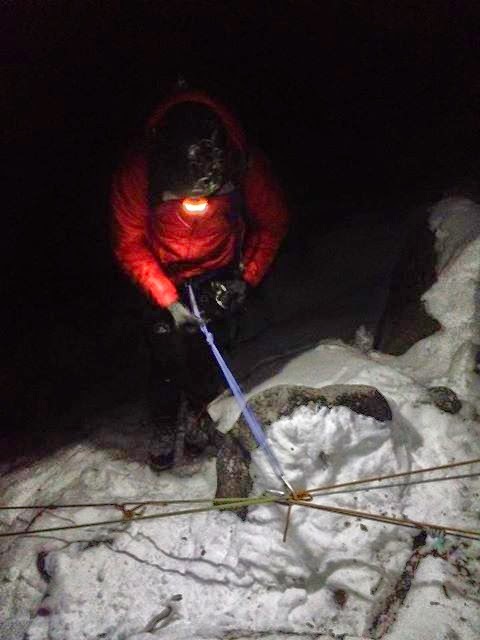 After we were through the low angle approach ice we put the rope on and started climbing. 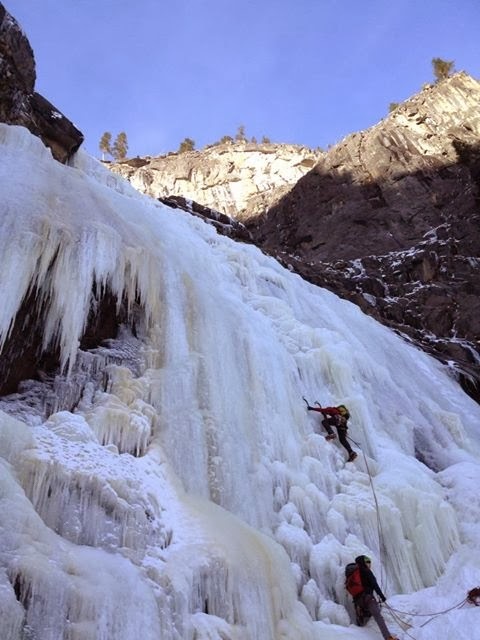 There were many pitches of moderate ice climbing that led the the final tier. Finally we reached the top tier of the climb which proved to have the hardest climbing. I led up to the crux and built a belay below it. It looked hard especially given it was our first day out. Despite the early season and not having swung his tools in over a year Kurt was able to make it happen in great style. The crux was below the upper pillar. Its longer than it looks in the photo. Once we topped out it was almost dark. We put the headlamps on and started the long descent. Several rappels, a long walk, and a cold boat ride saw us back to the car around ten pm. While WA ice isn't always in, when it is, it's pretty good. 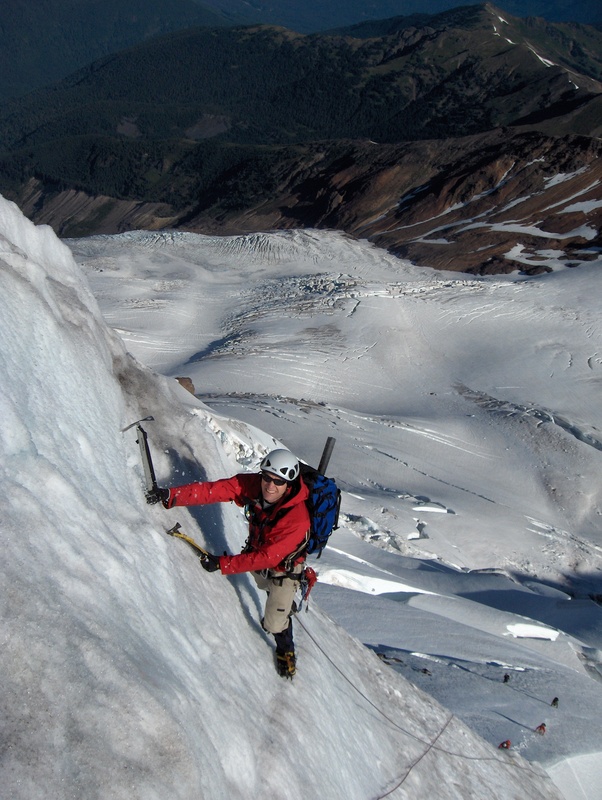 Washington climbers have a huge array of glaciated peaks to climb throughout the Cascades. 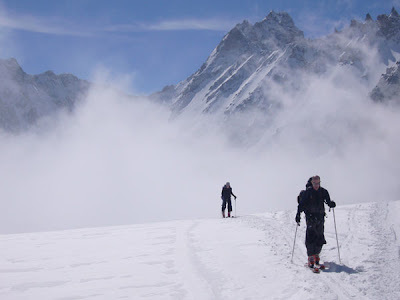 But when they are ready to push themselves further and decide to start climbing steeper alpine ice and snow, one of the best places to do that is the North Ridge of Mt. Baker. (Click the link for a more up-to-date version of this page.) With its relatively short approach, moderate climbing and picturesque views, it is a great first foray into the world of alpine ice climbing. Climb the lower half of the Ridge until 8800', where you will transition from glacier travel mode into roped climbing mode. 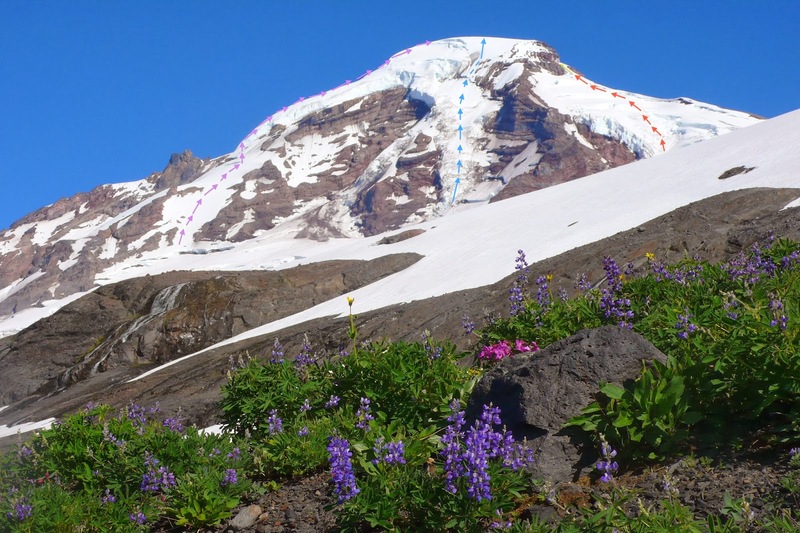 Climbers will head out and around to the left (East) of the starting ice bulge for 1-1/2 to 2 pitches, then topping out at a broader, more northerly facing and lower-angled slope. This broad slope can vary in difficulty, ranging from deep snow wallowing in early season to firm neve-kicking later on. Progress up these shallower slopes for 2-3 pitches as you are funneled towards the lobe of the upper ice cap. At 9600', there is another step of 60 - 70 degree ice for 2 pitches. After topping out on the shoulder of the ice cap, trend to the left (east), winding through crevasses, to reach the summit proper. "Impossible": it doesn't exist anymore. The dragon is dead, poisoned, and the hero Siegfried is unemployed. Now anyone can work on a rock face, using tools to bend it to his own idea of possibility. I'm worried about that dead dragon: we should do something before the impossible is finally interred. We have hurled ourselves, in a fury of pegs and bolts, on increasingly savage rock faces: the next generation will have to know how to free itself from all these unnecessary trappings. We have learned from the plumbline routes; our successors will once again have to reach the summits by other routes. 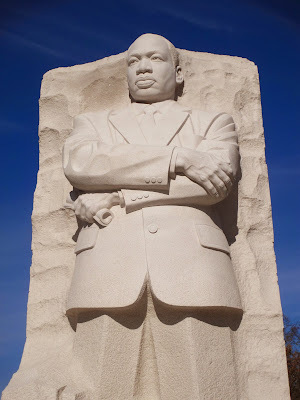 It's time we repaid our debts and searched again for the limits of possibility - for we must have such limits if we are going to use the virtue of courage to approach them. And we must reach them. Where else will we be able to find refuge in our flight from the oppression of everyday humdrum routine? In the Himalaya? In the Andes? Yes certainly, if we can get there; but for most of us there'll only be these old Alps. 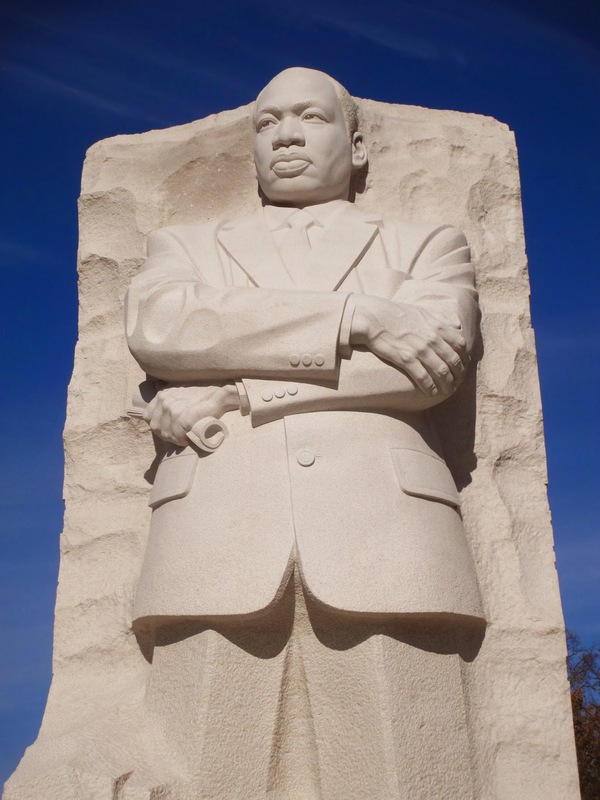 So forty-two years later, we have to ask whether or not the impossible has been murdered? Has the advent and popularity of sport climbing changed the way that we think of climbing? 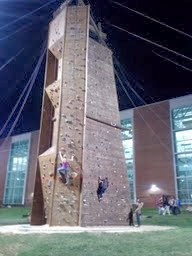 How about aid climbing? What about mixed climbing? We've seen ascent after ascent over the last few years that required such a high level of commitment and technical ability, that it's hard to say that the impossible has been murdered. Dynafit Bindings: What they are and how they work! Backcountry skiing is becoming enormously popular in the mountain regions of the United States. Enthusiasts are demanding more from their ski equipment and in response, the ski industry has been constantly improving its products. Recently, bindings have become an important decision when purchasing a new alpine touring set-up. Consumers are looking for a binding that provides good control over the ski, lightweight, uphill efficiency, durability, and ease of use. Enter the Dynafit binding, a well-designed and lightweight binding choice with few limitations. Dynafit bindings have gained popularity in the US after decades of development and use in Europe, mainly amongst ski mountaineer and randonee racers. In 1993 the Dynafit TLT type binding became the first available in North America. Today the company sells more than 13,000 pair a year and as many as 8 different models of bindings here in the US. Even after this type of popularity many new to the ski world have never seen this type of set-up. After seeing my first pair of these bindings in use during a ski trip on theHaute Route of France I returned to the US sans my telemark bindings with my prized new Dynafit set-up. Simply put this binding offers the lightest option for ski touring and offers the downhill performance that most are looking for in the backcountry. The Dynafit binding works by rather ingenious engineering. 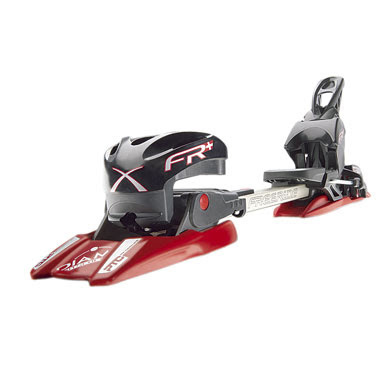 Unlike most AT (alpine touring) bindings that have a bar connecting the toe and heel plates, the Dynafit binding uses the entire boot to attach the two together through the rigid nature of plastic ski boots. This means that a specific Dynafit compatible boot is necessary for the system to be complete, where the toe and heel piece of the binding actually “prongs” itself into the boot. This eliminates much of the extra metal that would construct a binding made in the more classic downhill style. The Dynafit compatible boot. Notice the metal toe and heel inserts. Dynafit products have some small limitations. These are really limited to only a few problems including the overall release mechanism which can be somewhat trigger happy if you are a super aggressive cliff jumper and bump skier. The binding can also not provide enough power for a skier to handle a super fat ski. So if you are looking for a binding and boot combination for super fat, big mountain heli-skis you might look elsewhere. In terms of tourability this is the right choice for the touring-minded backcountry skier. For more information on Dynafit bindings online check out wildsnow.com or give our backcountry skiing courses a try! Alpine Institute guide Tad McCrea put together this little video from this last summer. He dropped by just before heading to Patagonia for the season. He's got some big climbs in mind down there, so we wish him the best of luck. 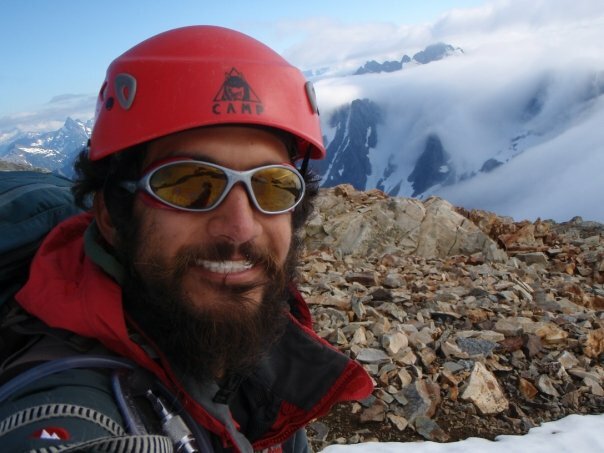 If you'd like to sign up to climb with Tad when he get's back next summer, give us a call! Cascade Country Club: guided ascents from tad mccrea on Vimeo. Beacon Rock is a basalt monolith on Washington's southern border along the Columbia River. The south face is criss-crossed with dozens of routes that work their way to the top. Beacon Rock - Then & Now from Adam Baylor on Vimeo. Petzl put together this "instructional" video showing some very bad habits found in climbing. You should steer clear of this guy! As someone who's had the opportunity to travel and climb around the country over the past nine years I've gotten used to (but never tired of) visiting a new area and being told, "Oh, you need to go check out X, Y, and Z routes; they're classics!" And there is still a sense of adventure and discovery that wells up in us climbers every time we're in that situation. These folks are right, and their prized routes stand out for their perfect in-cut crimps, their pleasing movement, the engaging variety of techniques they demand, or simply their aesthetic surroundings. Very occasionally, you'll happen upon a route that seems to combine all of these things, and after climbing it you'll tuck the memory away to cherish until you get a chance to come back and do it again. The East Buttress of Mt. Whitney (which at 14,494' is the highest peak in the lower 48 states) is such a route. The hike in to Iceberg Lake at the base of Mt. Whitney begins at the Whitney Portal trailhead (8360'), about 20 minutes West of the town of Lone Pine. From there, the trail climbs steadily, gaining 4,300' in just over 4 miles as it winds its way up a creek drainage through the forest and past beautiful lakes before emerging in the alpine and scree at the base of the peak and route. The route itself seems unlikely from a distance, but as one nears the base, obvious lines of weakness appear amidst the blocky assemblage of the Buttress. The climbing is straightforward and engaging from the start, and pitch after pitch has the leader shifting back and forth between fun 4th class scrambling, and short, steep moderate cruxes. Moving up the arête, the leader has their pick of easily protected variations ranging from 5.6 to 5.8 on a number of pitches, which makes for fun route finding and allows climbers to move between several different style of climbing in rapid succession. AAI videographer John Grace moves up toward the Second Tower. Casey O'Brien. Eleven pitches and 1,000 feet of varied and exceptional climbing after the day begins, climbers top out on Whitney's deceptively broad summit and have a chance to savor their accomplishment and the broad vistas stretched out below them. The registry beside the small stone shack at the summit affords a quaint opportunity to document your presence on the summit before descending back to Iceberg Lake via the Mountaineers Route. Though imposing from the base, intermediate climbers will find the East Buttress to be a suitable challenge, an awe inspiring route and a significant accomplishment that they can take away with them. Thankfully, once you've climbed the East Buttress there are innumerable other climbs in the High Sierra to challenge and inspire you in all seasons. 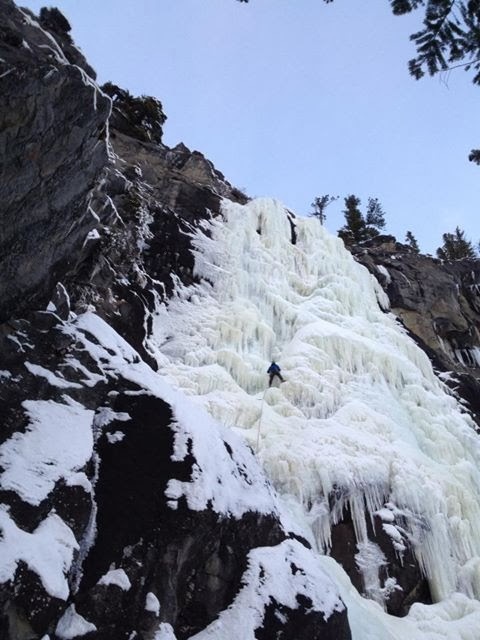 The range is an ideal place to learn and push yourself ice climbing, Winter mountaineering, or backcountry skiing; if you haven't already, this ought to be the year you get out there and explore. A post-climb fortune cookie puts us on the right track. Every year there are stories about people who have gone into a tree-well upside down and suffocated. Essentially, a skier or a snowboarder takes a fall and slides into a tree-well upside down. When this happens it's very difficult for one to extract him or herself. Indeed, struggling upside down in a well can actually cause an individual to slip down further. The result is very similar to an avalanche, an individual suffocates in the snow. Occasionally we report on frontcountry avalanches, but they are rare. Tree-well accidents happen every year both in-bounds and out-of-bounds. The wells are particularly dangerous after a big snow storm that dropped a lot of powder. The Tree-Well and Deep Snow Safety website indicates that, "the odds of surviving a deep snow immersion accident are low; especially if you are not with a partner. In two experiments conducted in the U.S. and Canada in which volunteers were temporarily placed in a tree well, 90% COULD NOT rescue themselves." First and foremost, skiing with a partner is the most important part of staying safe on a powder day. And skiing with a partner means keeping track of him or her visually. If you speed ahead and are waiting at the bottom of the slope for your partner in the tree-well, then you have failed to truly ski with your partner. Many of those who have died as a result of a tree-well incident were with partners, but they did not actually witness the fall. Visual contact is important! In addition to staying in visual contact, it is important to be close enough to your partner that you could dig him out if an accident occurs. How long does that person have? Well, about as long as you can hold your breath...so you should be close enough to perform a rescue quickly. If your partner goes into a hole, don't leave to get help. Dig him or her out! Once you have reached the person's face, be sure to clear the airway as there might be snow in the mouth. Obviously digging requires a shovel. Be sure that you have a shovel, a beacon and a probe on any big snow days, in-bounds or out. If you're a skier, remove your ski pole straps. People who go into tree-wells often have trouble removing these straps while in a hole. On big powder days, groomed trails are always the safest. However, if you really want to enjoy the powder or you want to ski in the backcountry, you'll expose yourself to tree-well danger. If you are off the groomed trails, stay away from the trees. There will not be a tree-well where there is no tree. If you realize that you are falling into a tree-well, try to grab the tree and the tree-branches. Once you've fallen in, try to hold onto the tree or branches so that you don't fall in further. Struggling in a tree-well often makes you sink more deeply. So if you're in the hole, think. Don't panic. Try to breathe calmly in order to conserve the little bit of air you might have while waiting for a rescue. If you are in the hole, try to create a breathing space near your face. If you're secure, try to rock your body gently in order to increase this space. Over time, heat from your body, along with rocking motions, will compact the snow. The hardening of the snow around you might allow you to work your way out of the hole. Tree-wells are dangerous, but they are a danger that can be mitigated and avoided. Pay attention to your surroundings and to your partners in order to stay safe while skiing or snowboarding. A small crew in Europe went out to test ice screws and v-threads The following video is one of those "breaking gear" type videos that we occasionally post. This one is well worth watching. I was surprised to learn that the v-threads that they placed were weaker than the screws. I had always thought that a v-thread was stronger because it involved more surface area. This series of tests found that screws and v-threads fail in a similar way, but that screws were ultimately stronger. AAI Guide Liz Daley is continuing to make her excellent web series for Epic TV. In this second episode, we catch up with Liz and her partner climbing an excellent line in the Alps and missing their last tram down the mountain. If you're not recovered from Thursday, then you better hold on, because we've got some more tasty morsels for you this weekend. In our first clip, Jens Holsten puts up a new route, Mainsail (5.12d), in Leavenworth. Mainsail from Max Hasson on Vimeo. In the latest from Salomon Freeski TV, Josh Daiek, Mike Henitiuk & Kieran Nikula head to an abandoned mining village in the BC backcountry in search of their own "white gold." 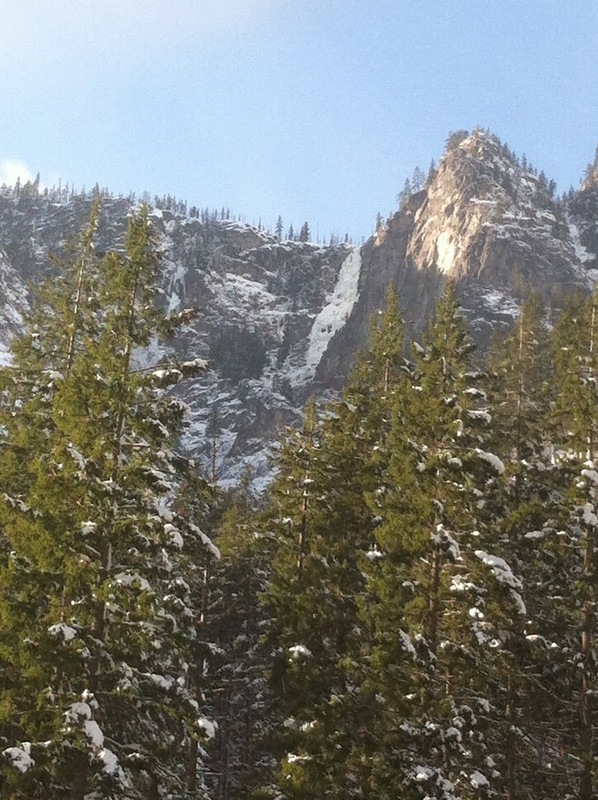 Fred Wert resides in Winthrop, WA and used to climb many of these peaks shown in our next video. It was taken over several winters from his Cessna 182. Fred says his videos are, "a way to share a view of these magnificent peaks that few people can ever see. And it is to provide a different perspective and view of the many sides of many peaks that are not usually even seen by mountain travelers." How many of these peaks can you name? Flying the North Cascades from MtnsFlyer on Vimeo. And finally, for those of you who are still in a food coma and can't get out, here is 45 minutes of climbing.... in Turkey! This leaves you with a bit of a dilemma, seeing as sunglasses generally are made for when the sun is out, right? Most sunglasses are just too dark to use when the clouds are out, making visibility even a bigger issue. 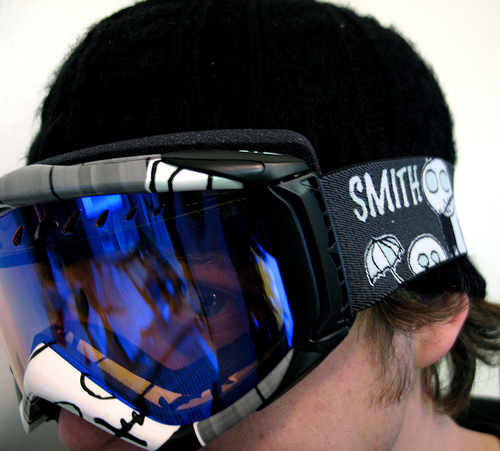 Julbo USA realizes this issue, and as such have created glacier glasses with much higher visible light transmission. They use a lens system which range from Spectron 1 - 4, with the higher number eliminating more of the visible light. They have even created a lens system, which they cal lCamel, that is photochromatic - meaning it transitions between two different lens categories depending on the amount of light available. I find it interesting how such a simple topic receives so much controversy and attention, but I do understand why. I believe that most climbing, especially toproping, is extremely safe when done correctly, but the consequence of a simple mistake can prove fatal. It's always tough weeding through threads like this for the good information. There are many misnomers in the thread like reference to the “AMGA Way” or self proclaimed experts that believe their knowledge base is greater than the combined knowledge of hundreds of AMGA guides and then accusing the AMGA of teaching incorrect methods. So how does this relate back to the topic of building topropes off bolts or chains? I think there are a few factors you should consider before deciding on what method to use. For the purpose of this discussion, I am working under the assumption that we have two well placed, solid, 3/8” or larger bolts. Anything less than this, you may want to consider working another anchor point or back up into the system. One of the techniques discussed in the thread is toproping off two quickdraws. I don’t see a big safety issue with a toprope through two opposite and opposed quickdraws that are well equalized, overhanging and in sight. My question with this is “how much time and effort would it be to incorporate a draw with a locking carabiner?” I think a locker adds a considerable safety factor with very little effort. Also, in real life, the bolts aren’t always placed so the draws meet all of the above requirements. If anchor bolts are out of sight, not well equalized, or rubbing against rock, my favorite toprope setup in the Quad. This is a form of the equalette and can be found in John Longs Climbing Anchors on page 172. One of the great things about the Quad is that it self-equalizes, but for that gain you lose part of your "No Extension." My rule of thumb for extension is something that I learned in Search and Rescue Training: "Keep it to 6 inches or less" The quad can typically be tied and used on multiple anchors with little or no adjustments to the extension limiting knots to keep it less than 6 inches. I also like to use the quad on multipitch climbs with bolted belays stations, in that application I anchor into only two strands(using 7 mil cord) and then belay and anchor the second into the other two. No matter what method you decide to use to set up your toprope anchor, you should try to take into consideration the above factors and anything else that could affect your setup and build it to SERENE principals. I hope everyone had a great fall and is getting stoked for some good snow and ice. Over the last couple of years, smart phone technology has developed at a pace that is unprecedented. Engineers who develop phones are only part of the story though. Application developers are the other part of the story. And yet another part of the story are developers who create programs for outdoor enthusiasts. There are three kinds of apps for backcountry users and climbers. The first kind is for entertainment. Sometimes they have useful beta, but not always. The second type provides pre-trip planning beta. And the third type provides onsite beta. There is value to all three types of apps, but those that present beta that has value in the moment provide the most bang for the buck. A backcountry GPS is no small purchase. Most run between $100 and $400. However, the smart phone applications that many are using these days work almost as well. When I was first told about this GPS option, I thought that it wasn't for me. I thought that you had to be in cell phone range for these to work. That is absolutely not the case. In the proper settings your smart phone GPS application will work even when you are in airplane mode. These two applications represent the gold standard of GPS backcountry app technology. While each of these programs have their quirks, they both work well even when you are far from 4G technology. Indeed, I have to say that I often find that these programs operate more effectively than my (admittedly old) GPS unit. The ski guide who told me about this uses Google Earth to find potential ski runs in the backcountry. Mountain Rescue volunteers and professionals also use this app to develop search plans in complex terrain. Though this isn't really a backcountry app, it can certainly get you from one place to another. I've been using mapquest regularly to get to towns or landmarks near climbing areas that I've never visited before. The application "speaks" to you, telling you where to go and when to turn. It's a must have for the traveling climber. In this day and age it seems ludicrous to carry a book into the mountains, whether it be for personal reading or for reference. There is currently at least one free first aid app available and dozens of apps that you have to pay for. Like most weather programs, there is a free version and an upgrade. I really like the Weather Bug Elite. In part it's because this program not only provides the weather, but gives updates on where lightning strikes are taking place. Unfortunately, this program doesn't work without connectivity. At the American Alpine Institute, we use NOAA regularly to determine where to run trips and programs. We look at the telemetry to determine everything you can imagine. Like the Weather Bug, the program doesn't work without connectivity. Campground Finder and RV Parky are two apps that I use to find campgrounds nearby. The downside of each of these is that they don't seem to be able to find the same campgrounds. So, if you show up to a campground and it's full, you might need to use both programs in order to find something suitable. When I've pitched these programs to people in the past, they've become worried that they only list places for RV camping. This is not the case. Both programs provide info on both RV and tent camping options. The Avalanche Forecasts app provides information on avalanche conditions in the Northwestern United States. I haven't dug very deeply, but I suspect that there are apps for other regions as well. This program helps you with both your avalanche assessments and tour plans. I haven't used the app yet though, because it's only for Iphones and I have an Android. However, those who use it certainly like it. The Ski Report app provides "on piste" information from ski resorts all over the place. The information provided from a ski resort may help you to decide whether you want to visit the resort or play in the backcountry nearby. For a small fee you can download Mountain Project. If you're not already aware of this resource, you should be. Mountain Project is an online guidebook built by users all over the world. The app allows you to access tons of route beta through your phone... Just don't drop your phone when you're up there reading about where the next pitch goes! This is more of a standard app than a backcountry app. It is a program that allows you to take notes and then sync them to all of your devices. And notes can include anything from photos, to web clippings, to maps. I regularly put information into my Evernote notes on my computer in order to have them on my phone when I'm in the field. There is something to be said about ebooks and magazine subscriptions in your phone. You can get Climbing magazine through your phone as a subscription based service. You could also download any instructional books or documents that you might need. Many guidebooks may now be purchased as ebooks. This could make the weight in your pack go down significantly. We're incredibly interested in finding out what others are using on their phones in the backcountry. Please let us know either here in the comments or on our facebook page. And lastly, if you intend to use your smartphone in the backcountry, bring spare batteries and potentially even a solar charger... The last thing you want is to run out of juice! Dubsatch Collective brings it one more time with some sweet footage from their Japan trip. Hakuba from Dubsatch Collective on Vimeo. With most of the major ski resorts across the US ramping up this weekend, I thought it was a good idea to drop this one for you Weekend Warrior out there. If you decide to duck that rope and travel into the backcountry, be sure you know what you're getting yourself into. 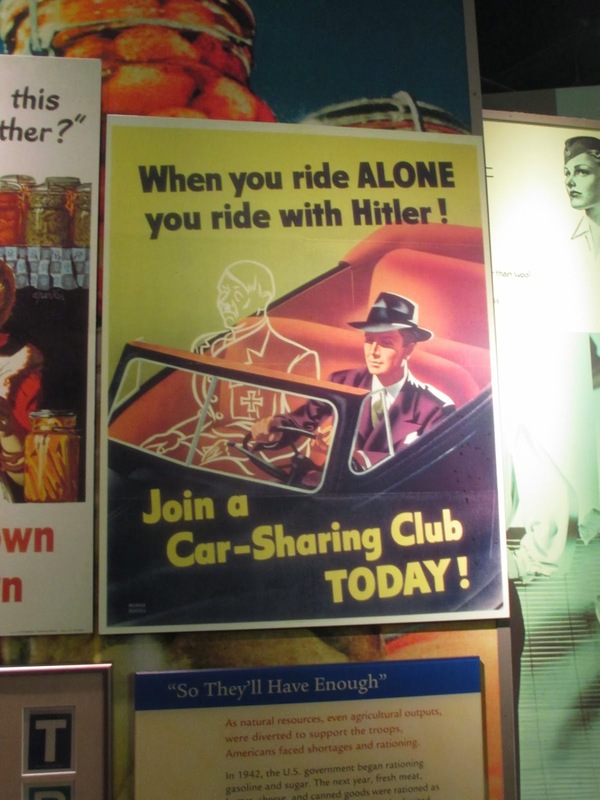 Stay safe out there. Weak Layer, Slab, Trigger = Avalanche from Trent Meisenheimer on Vimeo. Lastly, for those of you who just aren't ready for (or frankly Scarlet, don't give a damn about) snow, here's a little something rad to keep you stoked as we roll into the weekend. RAD DAYS - Teaser from kim feast on Vimeo. The Association for Outdoor Recreation and Education (AORE) is the the premier conference of it's type in the United States. 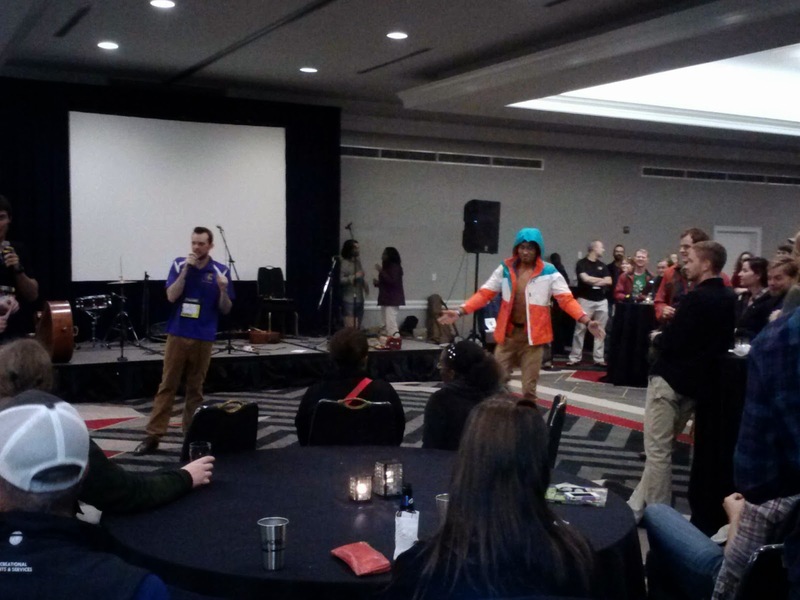 The focus of the AORE conference is to bring together college and university outdoor educators, outdoor rec students and professors, military rec planners and community rec planners to share ideas. This conference was my fourth representing the American Alpine Institute. 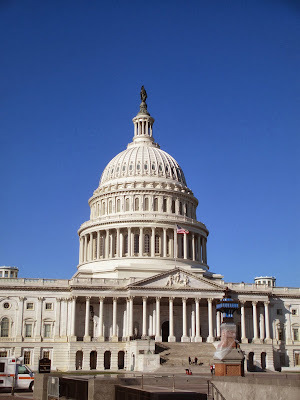 I have attended the conference in Keystone, Colorado; in San Antonio, Texas; in Snowbird, Utah; and finally, this year in College Park, Maryland, just outside of Washington DC. One of the valuable things about the AORE conference is that the clinics and seminars don't just revolve around hard technical skills. Many discuss academic papers and studies concerning the outdoors, as well as issues that young outdoor professionals might face. I attended seminars on everything from mentorship to how to fix a van that broke down on a program. I also presented on two topics. I co-presented a lecture with Ed Crothers from the American Mountain Guides Association on "How to Become a Professional Mountain Guide," and I presented a lecture on "Professionalism in the Outdoor Industry." Both of which were well attended. 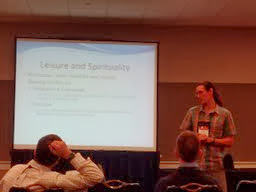 AAI Guide Mike Pond, presented a lecture from his outdoor recreation thesis on spiritualism in climbing. He didn't look at religion as much as how individuals feel when they are in the moment on a climb when they feel connected spiritually to the universe. 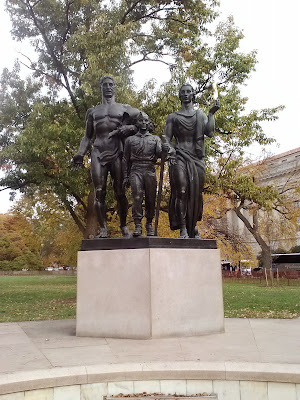 Following is a photo essay on the conference as well as on my journeys in Washington DC. outdoor climbing wall and bouldering cave. research on climbing and spirituality. During the AORE Auction, this guy modeled jackets without his shirt on. and suffering in the eyes of these statues. The Washington Monument, under repair. 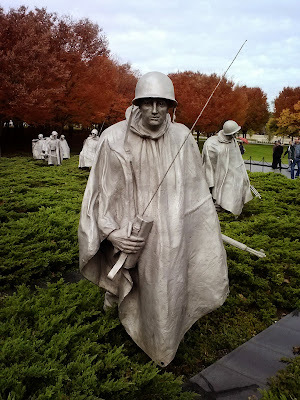 The Air and Space Museum was a highlight of the tourist part of my trip. Another highlight was the Natural History Museum. There are very few things cooler in the world than dinosaur bones. 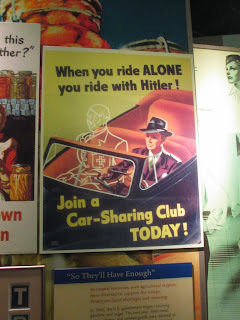 This was my favorite old sign from the American History Museum. The AMGA Rock Guide Course/Aspirant Exam (RGC/AE) was more than I could have asked for. It clarified and solidified many of the techniques I use as good habit and best practice, in addition it showed me new perspectives to evaluate situations and skills to better manage them. There is truly no better resource than having multiple IFMGA level guides as your instructors. The long days during the course were a testament to their dedication to ensuring ample time to practice and digest the material. The knowledge I received from these instructors was well worth the time and investment. Each day focused on either introducing new concepts or applying our novel skills in real terrain. For example, one day we focused on short-roping techniques to ascend and descend a feature, practicing with one and then two mock guests. The following day we applied these skills and climbed an objective that involved real world short-roping. This style of learning, practicing, and then performing is seriously effective in hammering home the skills and judgement required for keeping a rope team safe in non-fifth class terrain. I am thankful for the practice and could use plenty more, especially under the watchful eye of a more highly trained and experienced guide. Overall I think my favorite part of the course was interacting with my peers, and seeing how they responded to challenges in a guide role. Most of the students in the course had significant guiding experience under their belts, and I felt lucky to be among a class that could share that experience in a positive and constructive way. I hope that throughout the AMGA process and my career as a whole, I will continue to be among individuals who are dedicated to becoming the best guides they can possibly be, and they truly motivated and encouraged me while on this course. Of course there were challenges as well, however, they seemed minor in comparison to the positive aspects of the course. The government shutdown began on the first day of our course limiting our terrain selection, and weather on the final day cut our aspirant exam objectives short. These challenges however, became opportunities and assets to the instructors as they found new and varied venues to deal with area closures. The inclement weather on the final day served to teach me a very important lesson while on AMGA exams: When in guide mode - stay in guide mode. Not only did I learn how to “bail safely” off a climb, I learned to bail in style. I am fortunate to work as the lead guide in Red Rock Canyon National Conservation Area for the American Alpine Institute during the Winter/Spring season. 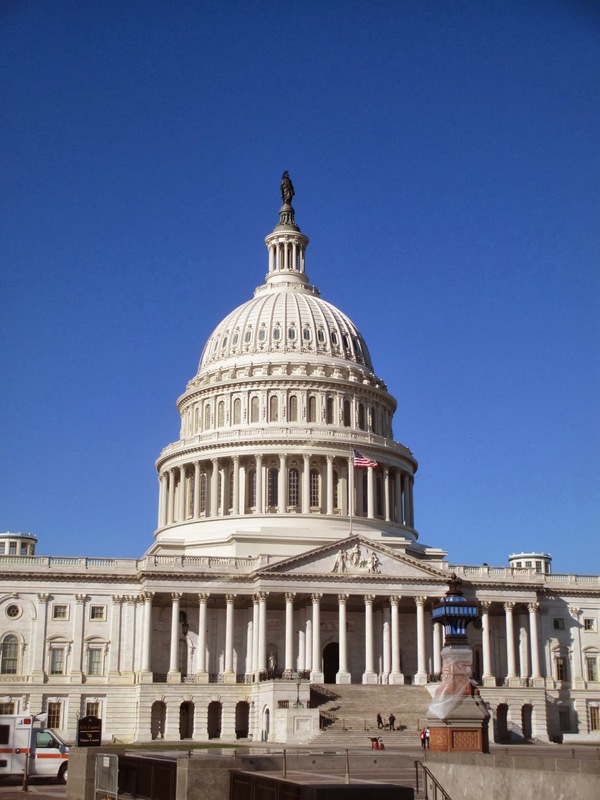 I see the AMGA as the premier source for education and career advancement in the United States, and as such I looked to this course to build my knowledge-base and skill set. I am grateful to have taken, and passed, my RGC/AE. To add to my excitement, I applied for and received a very generous full-tuition scholarship from Petzl. It is an amazing feeling to know that friends, family, and even equipment manufacturers, believe in and support my passion and career. For that, and to Petzl directly, I am extremely grateful. Pulling through the last few moves on “Lude Crude and Misconstrued,” a popular 5.9 located in the Black Corridor of Red Rock Canyon, is not a particularly difficult thing to do. The moves at the top are easy. No instead, the scariest part of the climb is not the climb itself, but the anchors. So many people have put their rope through the chains at the top of the route and then proceeded to toprope or lower off the anchors that the sawing action of hundreds of ropes has nearly eaten them clean through. Above is an example of a rope threaded directly through the anchor.Do not do this for anything but a rappel. The photo above provides an example of a properly set-up toprope. The anchor is composed of a double shoulder-length sling, tied into a pre-equalized eight. At the bottom, clipped into the power-point (sometimes called the master-point) are two opposite and opposed locking carabiners. This is the best possible system as it meets the requirements for a SRENE or ERNEST anchor and protects the anchor chains from damage. There are two organizations that are currently replacing bolts and anchors throughout the country. 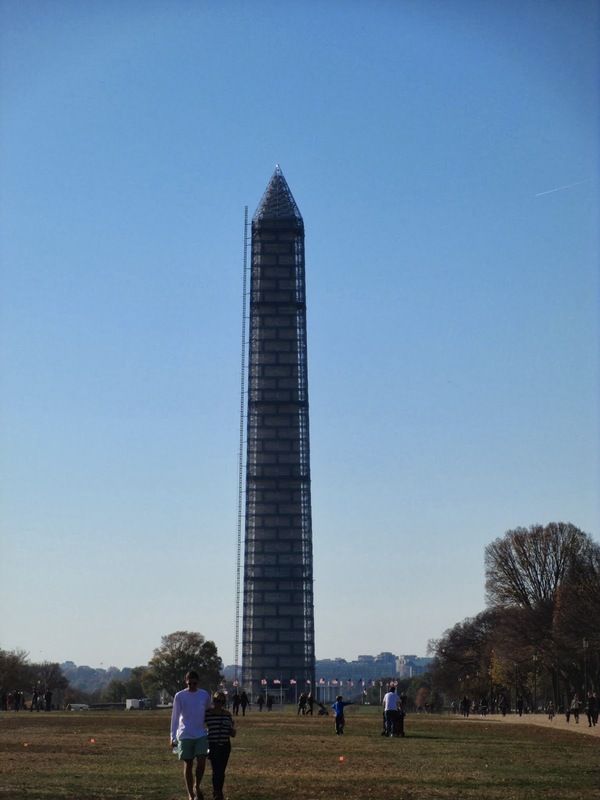 The first is the nonprofit American Safe Climbing Association (ASCA) and the second is the Anchor Replacement Inititive(ARI) sponsored by Climbing magazine, the North Face and Petzl . It is possible to support the ASCA with donations and to support the ARI by purchasing items from their corporate sponsors.